MGH Blake 2 PET/CT — Linea 5, Inc. 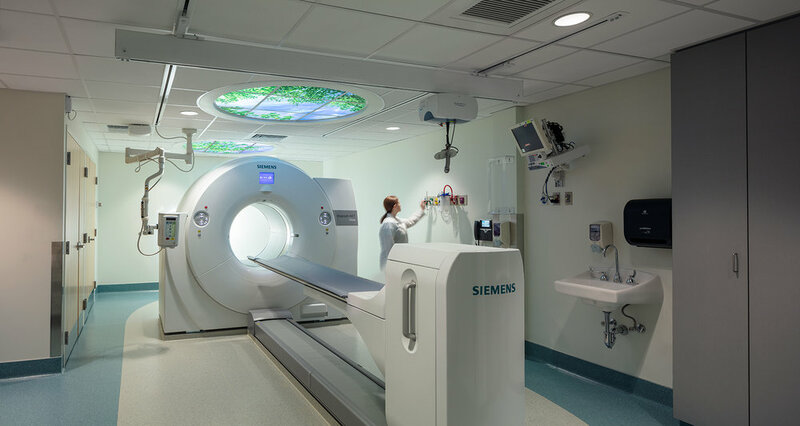 The Nuclear Medicine Department of Radiology renovated their department to make space for a new state of the art PET/CT scanner. This also included a new Radio-pharmacy to meet current regulations to support the department. The illuminated images in the ceiling are designed to make the space more inviting and distract patients during their visit. The curved control room provides a wide-angle view of the patient as well as a neat and organized workflow on the control center.